Today I celebrated my birthday with the cute animated "We Bare Bears"! 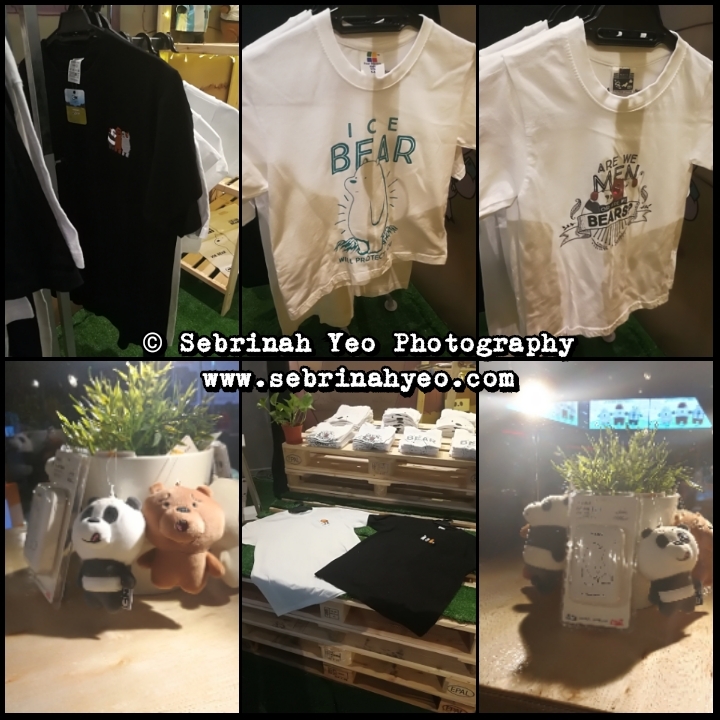 The first and ONLY "We Bare Bears" pop-up store in Malaysia, will be opened for a limited time from Saturday, 9th June till Sunday 8th July 2018, only at TGV Cinemas at Sunway Velocity Mall in Cheras KL. 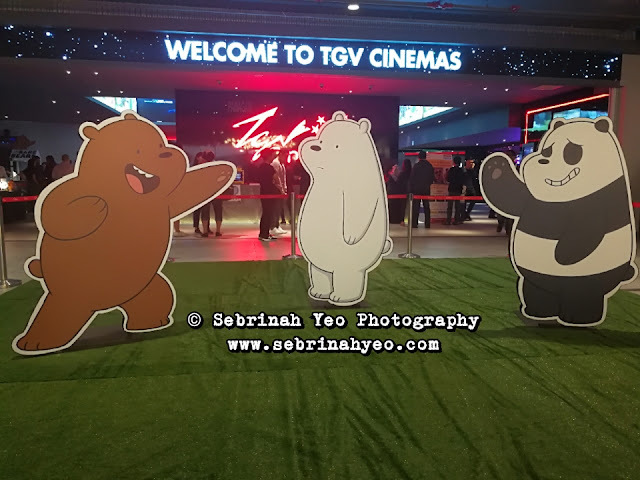 "TGV as one of the leading cinema chains in Malaysia, has always been continuously seeking creative ways to bring new experience to moviegoers. This pop-up store is one of the initiative by TGV Cinemas at Sunway Velocity Mall that they have been mentioning on social media with marketing teasers on what's coming up next; And this pop-up store is something that is not tied to any cinematic feature, but purely to connect fans to their favorite show. 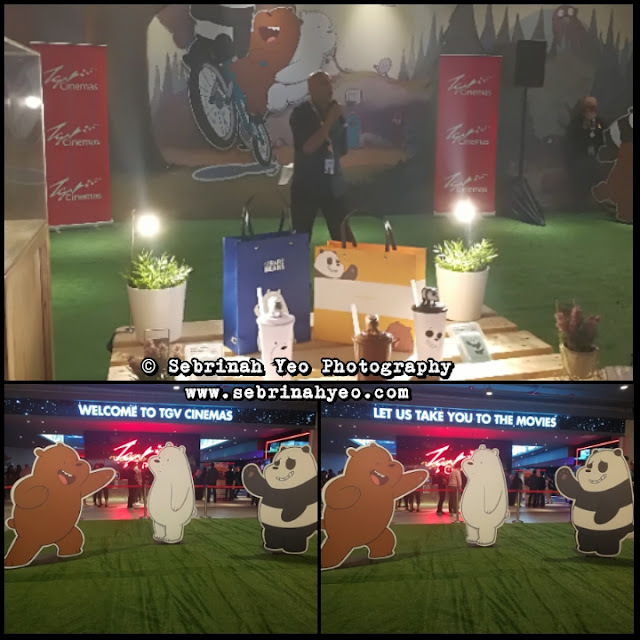 Hence, we look forward to having fans of the series at the cinema" as said by Raymond Letchmanan, Senior Manager, Concessions Department at TGV Cinemas Sdn Bhd. This first-of-a-kind pop-up store is in collaboration with TGV Cinemas, Cartoon Network and (the official licensee of "We Bare Bears") Innocraft Sdn Bhd. 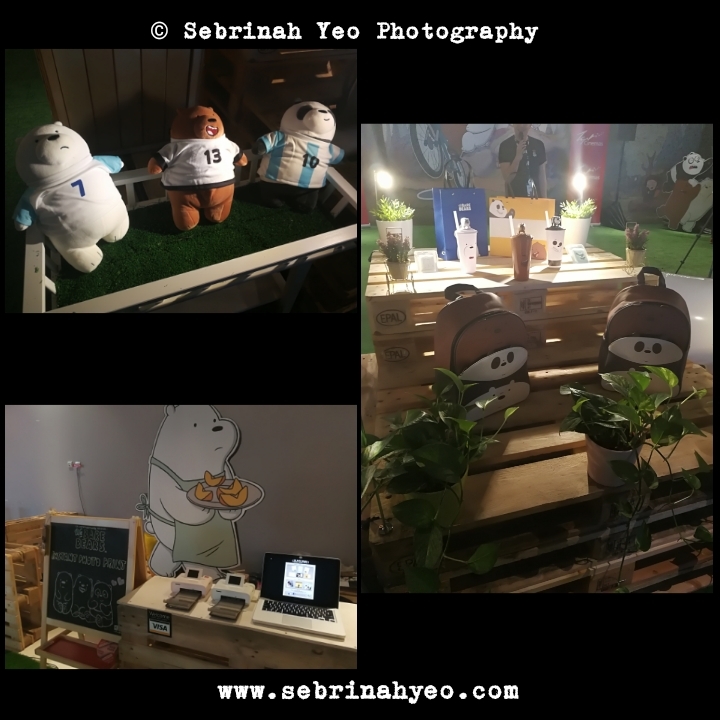 This is a once in a lifetime chance for fans, movie-goers and even shopping mall patrons to actually head on over here to snap some memorable photos with the whole family, print name stickers for your kids, print instant photos captured at this pop-up store here, have some delicious ice cream or yummy "We Bare Bears" cookies and even bring home authentic "We Bare Bears" merchandise and collectibles. 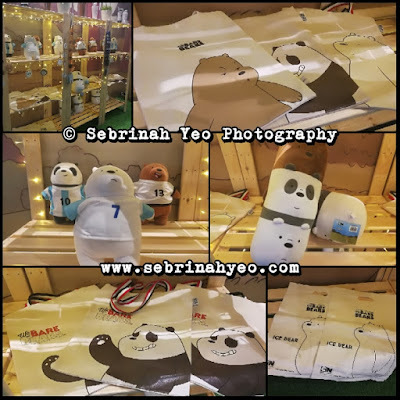 Some of which are the official plush toys that are super soft, cuddly and just perfect for a snuggly hug; There's also some stationary merchandise like notebooks, notepads, plastic file folders, lanyards; Even bags of variety types and sizes; Lest not forget, keychain, power bank and even T-shirts for the whole family (including for children). 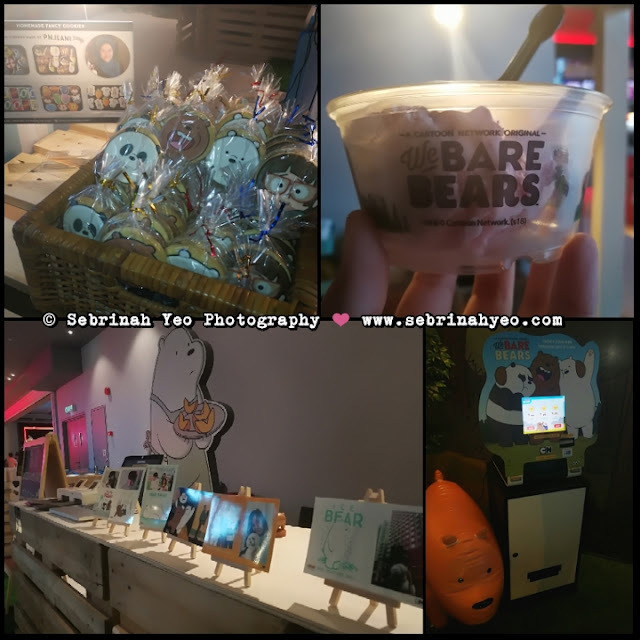 What on earth is "We Bare Bears"????? 3 Bears who are brothers, trying their best to fit in with human society in San Francisco Bay area. They are known as Grizz, the eldest and the most fun-loving, Panda, a social media enthusiast who is easily embarrassed and Ice Bear, who is the youngest but of the strong, silent type. With the Cup Topper on hand, you can refill drinks at only RM1 at any TGV until 31st August 2018. 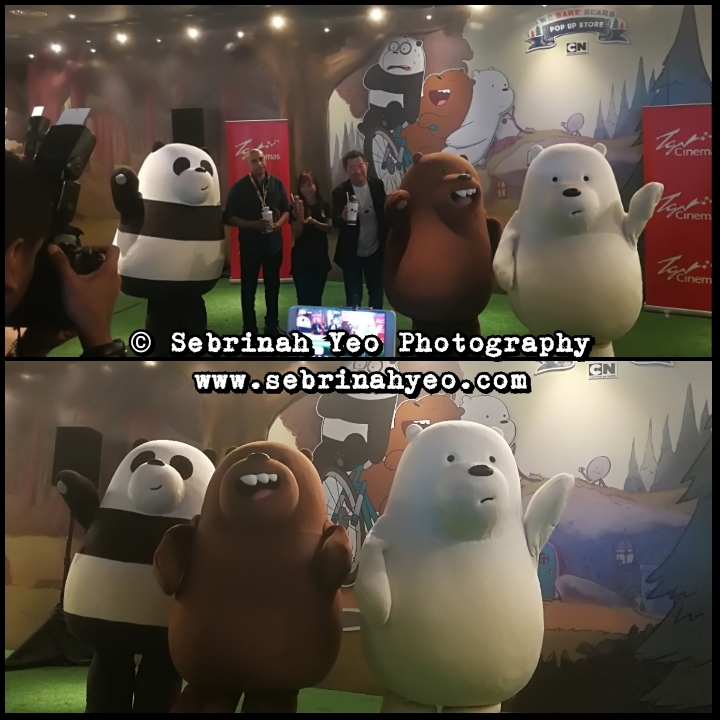 Fans of "We Bare Bears" will get to "Meet & Greet" with the three brothers at TGV Cinemas Sunway Velocity on 9th June 2018 and 16th June 2018 at 3 different sessions (12.45pm, 4.45pm and 6.00pm) with terms and conditions apply. Also, for shoppers who spend RM50 and above in a maximum of two receipts in "We Bare Bears" pop-up store using Visa payWave, they will be able to redeem an ice-cream for free that will be served in a "We Bare Bears" custom-designed cup. This offer is valid only while stocks last and on first-come-first-serve basis. 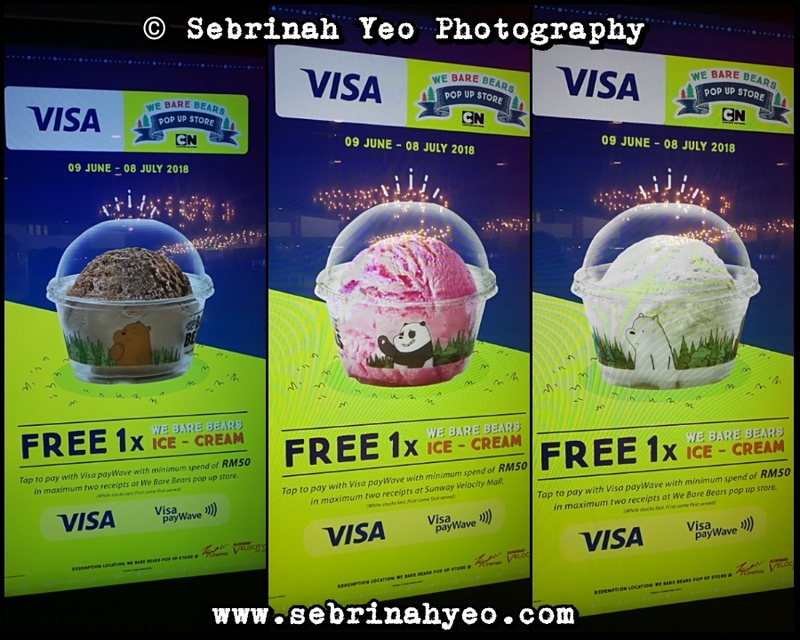 So if you're interested to bring your kids over especially with the kickstart of the school holidays on 9th June 2018, you can come over to the main foyer of TGV Cinemas Sunway Velocity. The pop-up store will be opened from 12.00pm till 10.00pm daily. The bears look so cute. Will bring my children there to check this out. The Bare bear so cute. I want the panda pillow and it looks comfortable. 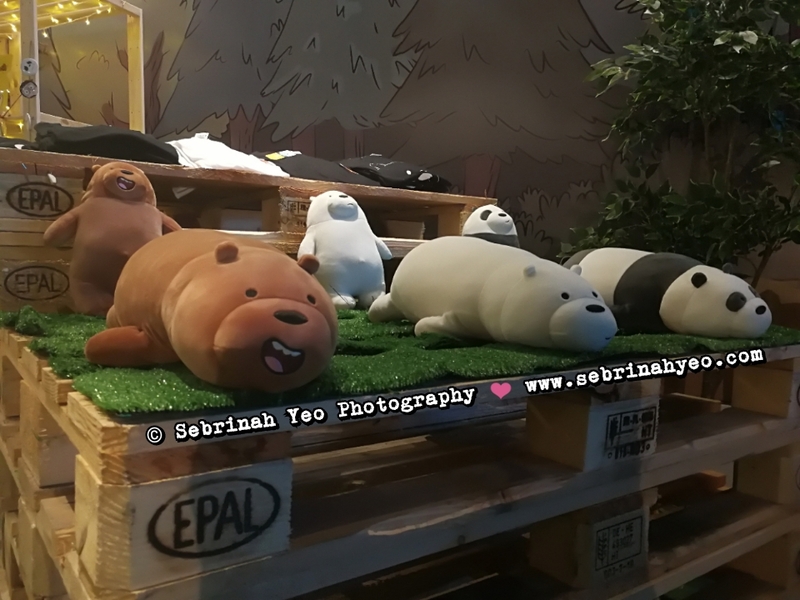 Never know they have this cute pop out store. will visit their store soon and get to try their ice cream. Thanks for recommending this. So lovely! 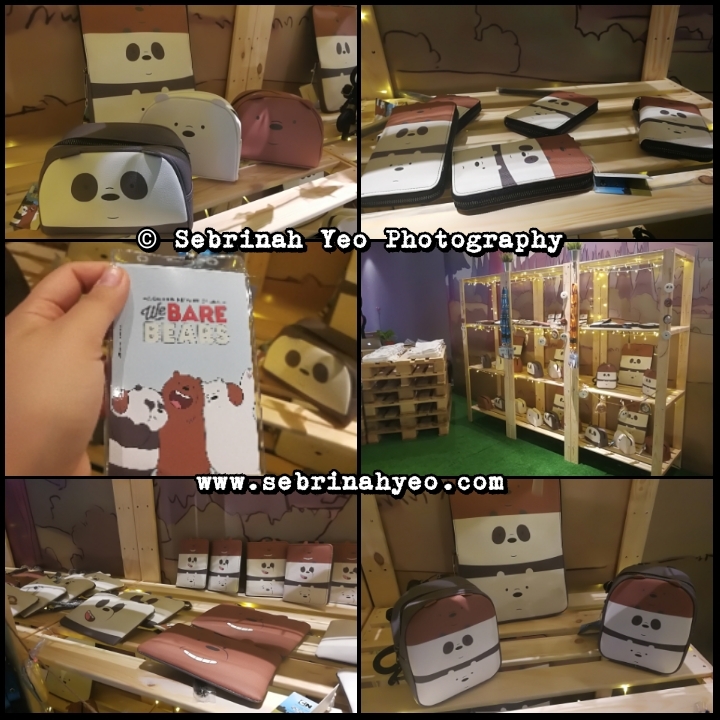 I just help my The Bare Bears fans friend bought a RM160 back pack and RM9.90 tumbler. 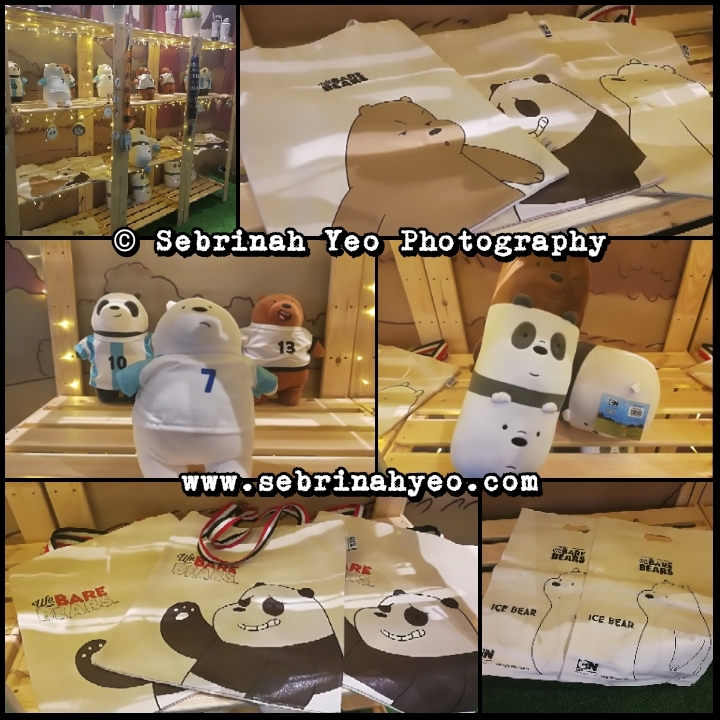 So many kawaii The Bare Bears merchandises can be found there! Love it! I love this cartoon so much. Always watching with my younger brother. 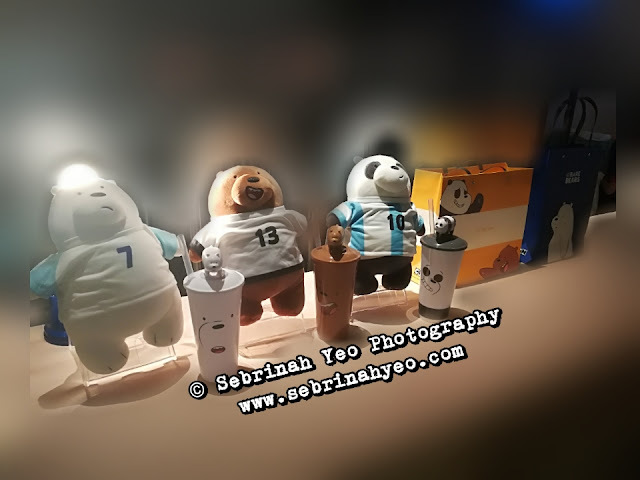 I love all the 3 bear characters. 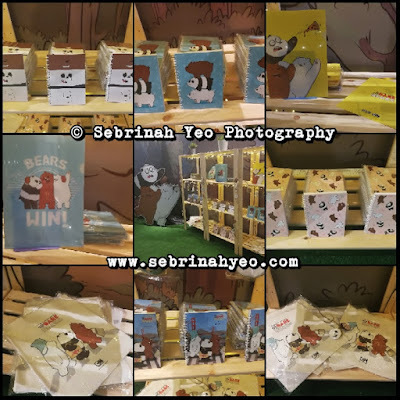 OMG All the We Bare Bears collection are so cute. I want them all. Ngawww this is so cute! 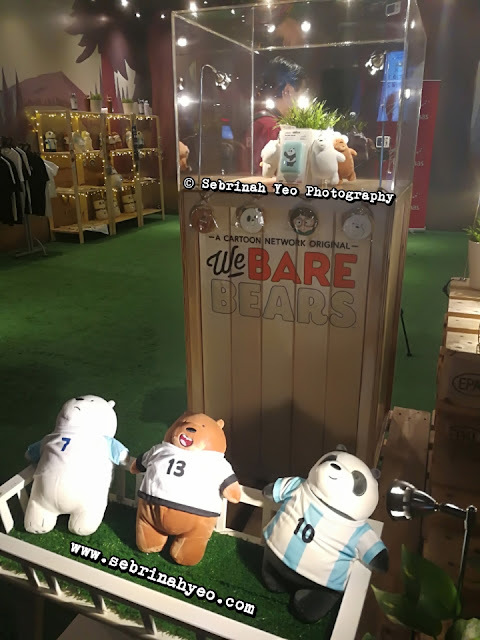 I want the we bare bear too. Will go there and check it out. Alolo comelnya. Bear banyak di TGV. Nanti ruby tengok movie. Bleh tengok display ni. Sekarang jarang tengok movie kalau takda utk kids. Kena bawa satu keluarga tengok movie. Hahaha. So anak lg seronok tengok bear.